The current work environment is in constant flux due to technology, but LinkedIn's Feon Ang is confident of helping the company to meet any challenge head-on. 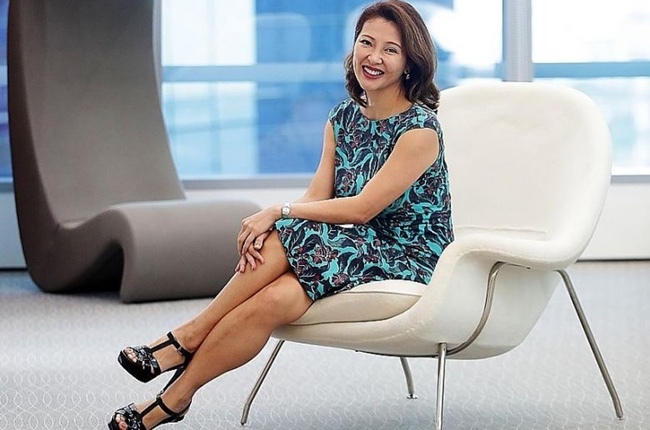 The vice-president of talent and learning solutions for Asia-Pacific has one sure-fire weapon in her arsenal - getting the company's employees to embrace learning, no matter which rung of the ladder they are on. "One of our key values is transformation and we encourage our people to demand excellence of themselves," said Ms Ang. LinkedIn, the world's largest online professional network, boasts more than 562 million members in over 200 countries and territories, with more than 141 million hailing from the Asia-Pacific region. Even as it plays matchmaker to job seekers and employers, it has also tailored a host of programmes to groom its more than 11,800 workers worldwide. One such programme is EmpowerIn, which teaches women in Asia-Pacific to become better leaders and empowers them to have a voice. The eight-month programme that kicked off in July last year - of which Ms Ang was the leading and executive sponsor - includes workshops on how to lead with data and insights, virtual learning sessions and group mentoring. Ms Ang will be a panellist at the Future of Skills Forum held by SkillsFuture Singapore with media partner The Straits Times on Saturday, and will give a presentation on "The Changing Workforce of Singapore". She shares her views on what it takes to get ahead of the pack. Q WHICH SKILLS ARE MOST IN DEMAND NOW? A The top three skills we're seeing are what we call ABC - artificial intelligence (AI), big data and cloud computing. In 2016, we saw these skills surfacing, with AI and big data ranked just outside of the top 10 for the top in-demand skills, in LinkedIn's Digital Workforce of the Future report. Cloud computing came in third. But last year, they have shot right to the top. It boils down to this global digital revolution, which is blurring the lines between the physical, digital and biological spheres. This rapid pace of change means entire industries and organisations have a fast-narrowing window of opportunity to prepare for the future. Business leaders today understand the need to disrupt themselves, and the talent they need to acquire and build, thus the rise in demand for ABC skills. In Singapore, the demand for these skills is compounded by our Smart Nation initiative as the country looks to harness technology to drive transformation across all sectors of the economy. Q ARE THERE OTHER SKILLS IN DEMAND WHICH ARE NOT RELATED TO INFORMATION TECHNOLOGY? A Well definitely, we see a lot of soft skills in demand - communication and management skills, as well as the ability to collaborate. Small and medium-sized business organisations, which have traditionally focused on hiring talent with the practical, hard skills, are now finding that soft skills such as critical thinking, adaptability and creativity are even more important. With automation and AI anticipated to drastically change the business landscape, these businesses, which may not have the financial resources to test and implement these solutions at scale, have to rely on a strong talent base to help them remain nimble and efficient. Q HOW CAN WORKERS ACQUIRE BOTH HARD AND SOFT SKILLS? A I think it's related to what our Government has been talking about, adopting a growth mindset, which is the belief in developing your talents. You would be a lot more open to learning new skills and improving yourself. It also helps you to look at things from different angles. However, most professionals in Asia-Pacific still take a more passive approach to their skills development. If you don't adopt that growth mindset, you'll really be behind the rest. Even for myself - I've been in the workforce for more than 20 years - people think I should be well versed in leadership skills since I've been in leadership roles for the last 10 to 15 years. But I've been taking additional courses to become better, including leadership and even machine learning courses. The machine learning course was only a few hours, but it was very interesting and got me thinking about how data, machine learning and algorithms all come into play. Q DOES SINGAPORE'S WORKFORCE HAVE THE ABC SKILLS? A There is a supply shortage right now, with an outflow of ABC talent from Asia-Pacific to the United States, Britain and Canada, based on our Digital Skills report. To retain talent - not limited to ABC skills - organisations need to cultivate a company culture that engages employees and makes them feel motivated to come to work. Good employer branding is also important - it is no surprise that talent usually gravitates to bigger names and the better companies can build their brand, the more that talent will come their way. Social recruitment is no longer a "nice to have" - it should in fact be a necessary part of an organisation's overall recruitment strategy to find digital talent. Q HOW CAN COMPANIES KEEP UP-TO-DATE WITH THE CURRENT TALENT LANDSCAPE AND FIND PEOPLE WITH THE RIGHT SKILLS? A The key to understanding jobs of the future is insights that are global in nature. For example, we can track emerging new jobs in developed markets, and from there we can envision if the same type of jobs will flourish in our own markets, based on our own understanding of current talent gaps in the local workforce. Today, most organisations are focused on internal employee data. That is good, but if we are serious about preparing our workforce for the future, we need to look at the wider context outside of our business' or region's boundaries and look at external data as well. This will be a competitive advantage for any organisation. This global external data can be gathered from LinkedIn Talent Insights, which is scheduled to be released later this year. It is a tool designed to provide organisations with direct, real-time access to rich data on talent pools and companies. The idea is to make the data useful for human resource leaders who need to better understand how their employees can be re-skilled and drive productivity in this new era of automation. The insights can also shape hiring strategies to attract the best fitting talent.